CSV files (Comma Separated Values) are a common format used to transfer simple data, it is often used for email lists, spreadsheet exports and for databases. 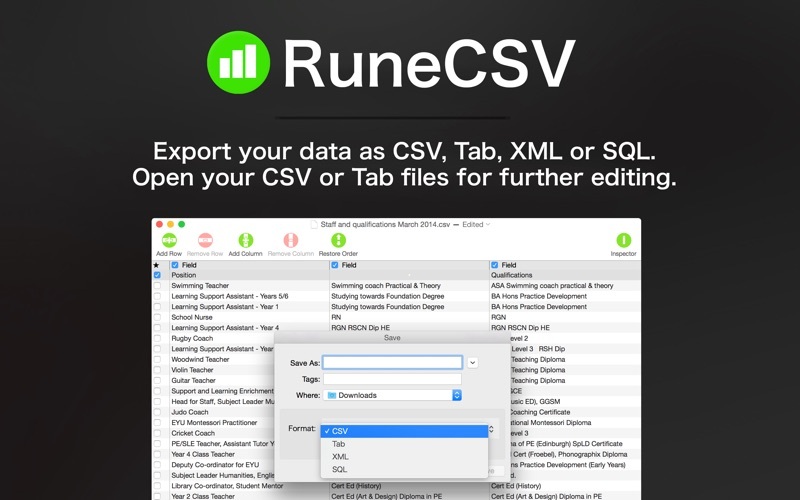 RuneCSV allows you to edit these CSV files in an easy to use interface. 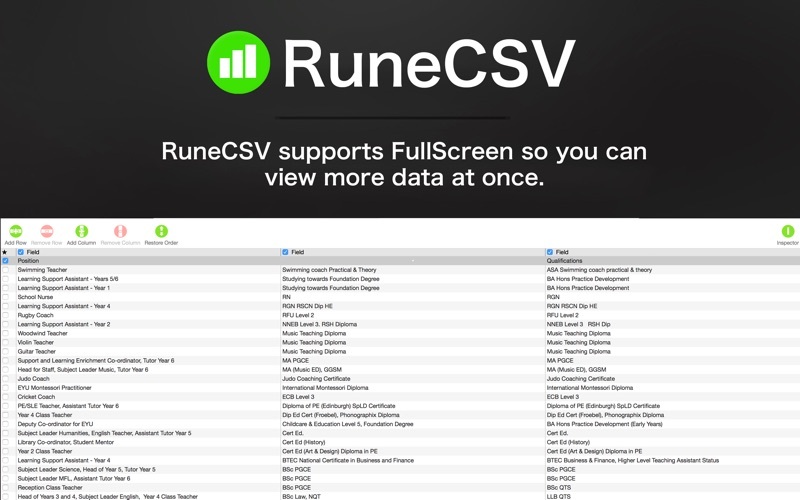 RuneCSV also makes use of Lion's FullScreen so you can modify CSV files using the full screen estate. 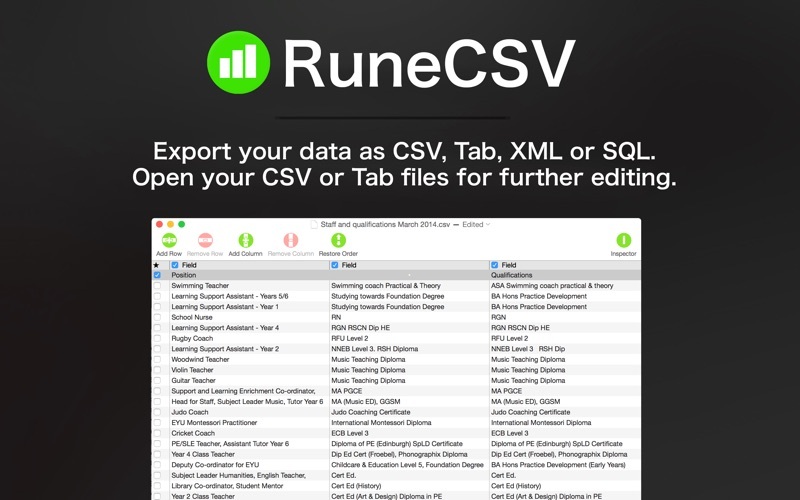 RuneCSV organises opened files in easy to read gridded columns and offers many features which makes it simple to edit your spreadsheet or database exports.